#AManOfGoodHope @youngvictheatre is an opera for our time. So wonderful to see an ensemble desperate to tell you a story. Go see! Really loved #AManOfGoodHope at @youngvictheatre. Wonderful energy and music and powerful storytelling about one refugee's journey. Laughed & wept @ #amanofgoodhope @ayoungertheatre. 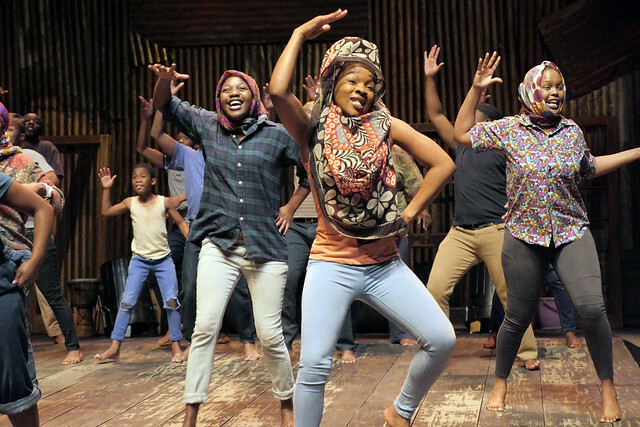 Glorious big S. African play/opera about displaced people, borders & tribes. So resonant. Absolutely stunning, arresting performance of #AManOfGoodHope @youngvictheatre tonight. Just about dried my eyes but the smile is staying. Absolutely blown away by #amanofgoodhope @youngvictheatre tonight. Get yourself tickets now! I'll be trying to get the school kids in ASAP! #AManofGoodHope had a standing ovation tonight. Extraordinary, sad, funny, a tale of a refugee's journey. @youngvictheatre on a roll!
. @annavanruiten you NEED to see #AManofGoodHope by @isangoensemble at @youngvictheatre A delight of African harmony, dance and Storytelling! What did you think of A Man of Good Hope? 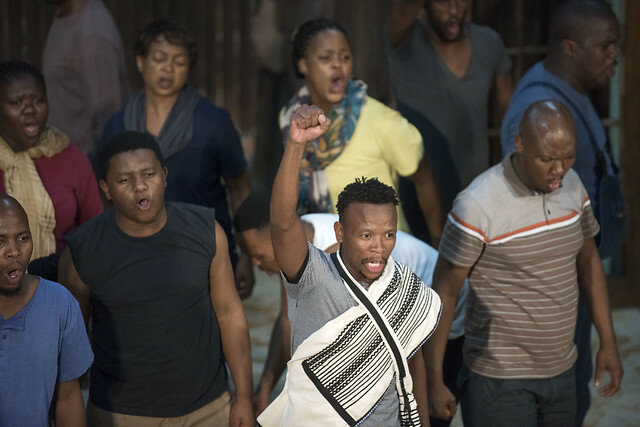 A Man of Good Hope runs at the Young Vic until 12 November 2016. Tickets are still available. The piece is a A Young Vic and Isango Ensemble Production co-produced by The Royal Opera, Repons Foundation, BAM and Les Théâtres de la Ville de Luxembourg. A riveting story of mans inhumanity to man presented by a fantastic ensemble company.